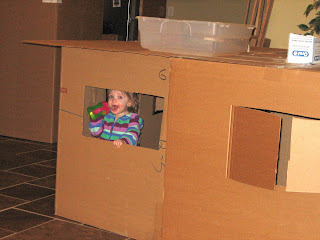 Jill Made It: New Kitchen Cabinets = Playhouse for Hailey! I am so excited! Our kitchen countertops will be installed tomorrow! Hurray!!! We've had much of our kitchen stuff stacked in Hailey's and our bedrooms for about a month. 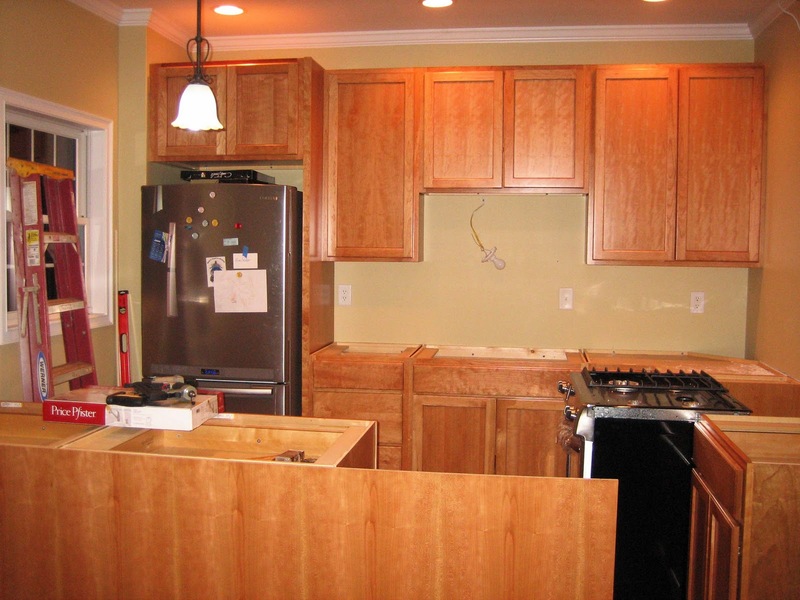 But my dad finished installing the cabinets last week (Thanks, Dad! ), and tomorrow the countertops will be added. Then it will just be 24 hours of sitting until the sink can be plumbed, and then we will have a fully functional kitchen. Hurray! There is an upside to having all the hassle and mess of having the cabinets put in (besides the joy of finally having cabinets! And no, we didn't have any cabinets in our apartment's kitchen before now. 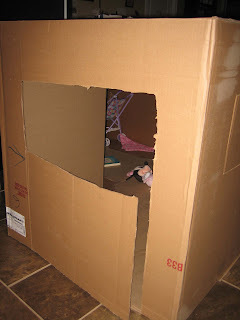 Yeah, not fun...but the rent is cheap. 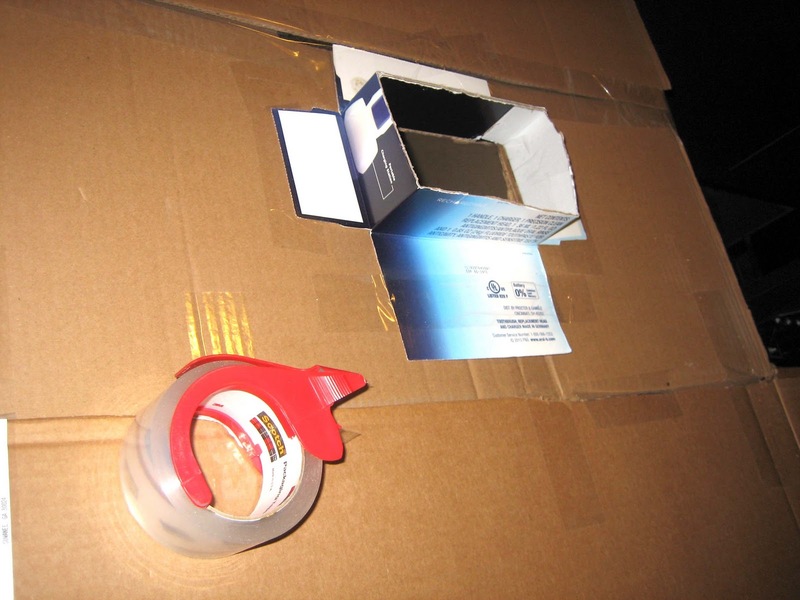 ), and that is the empty boxes. One night after Hailey went to bed, I taped together three of the boxes the cabinets had come in, cut holes in them for windows, and voila! 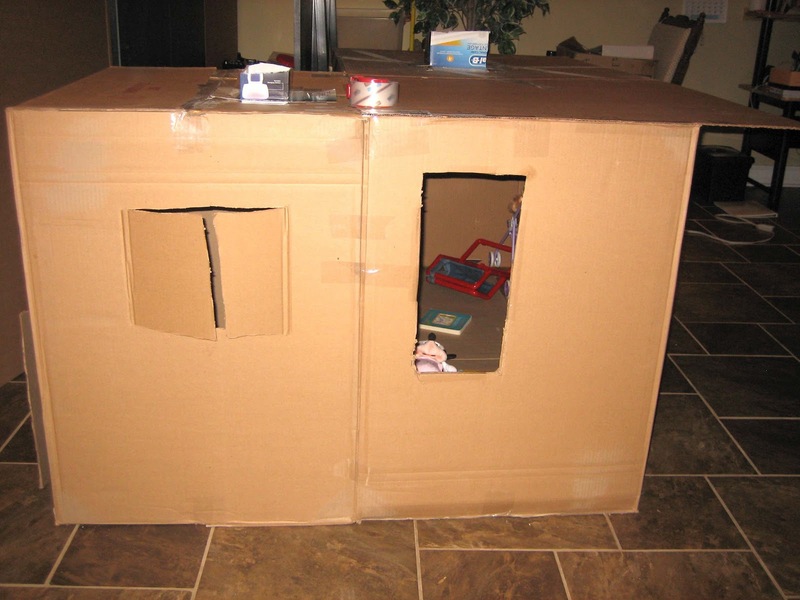 Perfect playhouse for a toddler. She was thrilled. Here are our cabinets. Our kitchen is almost done! Here's the door to the playhouse. Windows, including one with "shutters" that Hailey loves to open and close. Don't forget skylights! It gets dark in there, even with all the windows. I added "chimneys" to the two skylights, so they weren't just holes in the ceiling. Can I come in and visit you, Hailey? Love it Jill!!!! 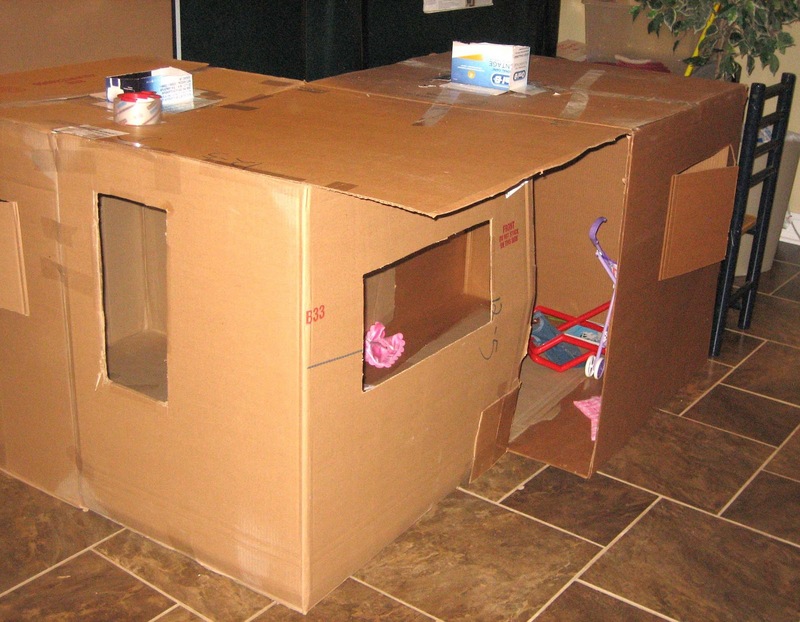 Those were my favorite growing up, nothing is more fun then a cardboard box!